"Marlie Love Life Coaching, LLC helps professional millennial Christians embrace their worth and step into their life purpose, by unleashing their hidden potential." In May 2016, Marlie began living her true life's purpose by starting Marlie Love Life Coaching, LLC. Marlie helps Christian women xennials and millennials embrace their worth and step into their life purpose, by unleashing their hidden potential. It’s time for them to live like the Bible says! Marlie was once a person that didn't know her worth and purpose. Instead of retreating, and settling for a life others told her she needed to live, she began to seek (and she found!). She began to dig deeper into God's word, and develop a genuine relationship with God. Although Marlie had been a Christian her whole life, she realized she didn't really know what that meant. Marlie always knew she was meant to help others. As a child, she was always the comforter in her group of friends. She was even awarded "Nicest Girl" at her 8th grade graduation. Some may think that those qualities we have as children do not fit in with our purpose, but Marlie found that wasn't true! Often, what we liked as children is a gateway to finding our purpose and passion. Within a year, Marlie was back in school, working with a renowned life coach as a mentor, and was closer to God than she had ever been! "Marlie was once a professional millennial Christian that didn't know her worth and purpose. Instead of retreating and settling for a life others told her she needed to live, she began to seek (and she found!)." Before Marlie knew it, she was stepping into her purpose, and left her corporate job to begin life coaching. She realized there were many others out there just like her, professional millennial who didn't know who they were in God's eyes. 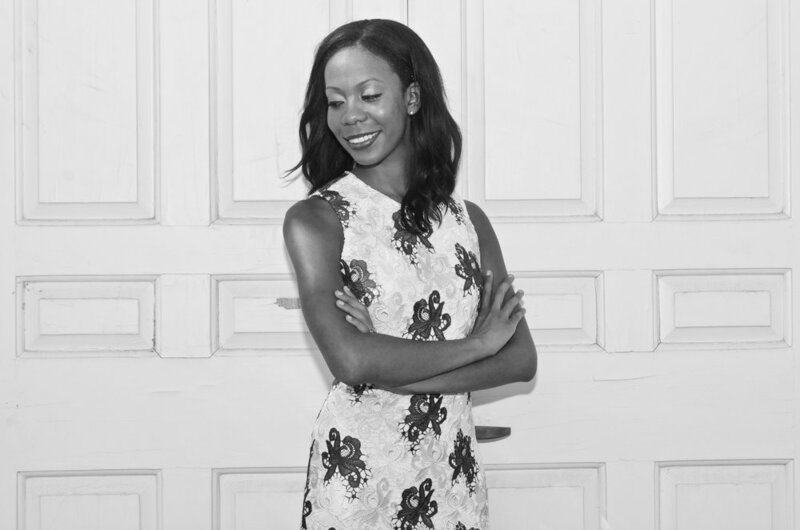 She then knew that was her mission: help professional millennials find their life's purpose! It was a dream come true! As Marlie was living in her purpose, she realized there were distinct experiences that she went through when discovering her purpose. A lightbulb went off! There were five huge things she did to discover the purpose inside of her! This is when she created her own five-step purpose plan! "Before Marlie knew it, she was stepping into her purpose and left her corporate job to begin life coaching. She realized there were many others out there just like her, professional millennial Christians that didn't know who they were in God's eyes." Marlie is an author! She wrote "Five Steps to Finding your Purpose and Destiny!" This book details her five-step purpose plan and it is now published by Bootstrap publishing! The book was re-released on September 28, 2018! You can order the book now on the website or Amazon! She also created a three month "Live your Purpose" coaching program, a two hour intensive "Live your Purpose" coaching program, and a one month, “Find your Freedom” coaching program. Marlie's five-step purpose plan has helped many clients find their purpose and destiny. Marlie is also the host and creator of the TV show and podcast, "Purpose is for ALL," where she interviews people from all areas of life about how they discovered their purpose, and how they are currently fulfilling it. The TV show can be seen on the NOW Network and the podcast can be found on Anchor Radio, iTunes, and Google Play. Marlie Love obtained her graduate certification in Positive Psychology from the University of Missouri – Columbia in May 2016. She received her bachelor's degree in general studies from Southeast Missouri State University in May 2010. Marlie Love was born in St. Charles, Missouri on July 13, 1987. She is married to a wonderful man named Anthony. She has two cute dogs, Boomer and Rocky. She loves Jesus, loves to travel, and enjoys living life to the fullest. Want to Book Marlie as your next speaker?